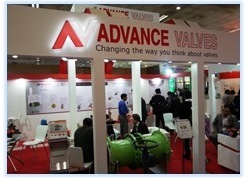 With the positive support of its customer base, Advance Valves has been growing at a significant rate. The closing year saw more intense project relationships with clients as Advance was chosen by the most prestigious customers as the vendor of choice given the track record of performance demonstrated over the years. This year sets the tone for even higher levels of customer service with the capacity expansion getting ready at Advance. Safety Integrity Level (SIL) 3 Capability: Advance Valve’s commitment to high end process applications with strict adherence to safety as a top parameter, was vetted by the certification of High Performance Triple Offset Butterfly Valves (TOV) as SIL 3 capable by Exida. SIL is a measurement of performance required for a Safety Instrumented Function (SIF) and is fast becoming a pre-requisite for supply. Safety Integrity Level (SIL) is defined as a relative level of risk-reduction provided by a safety function, or to specify a target level of risk reduction. In simple terms, SIL is a measurement of performance required for a Safety Instrumented Function (SIF). CRN (Canadian Registration): The Canadian Registration Number (CRN) is a number issued by each province or territory of Canada to the design of a boiler, pressure vessel or fitting. The CRN identifies the design has been accepted and registered for use in that province or territory. As per State policy, products of foreign manufacturers imported into Canadian Federation territory must meet their national quality Standards. Advance Valves has acquired the Canadian Registration Number from ABSA enabling us to supply valves to Canada. This registration number certifies approval of the design of a boiler or pressure vessel and high pressure piping systems and fittings so that it can be legally operated. A) PETROTECH, India: PETROTECH-2014 was organized under the aegis of the Ministry of Petroleum & Natural Gas, Government of India, by the ONGC and PETROTECH during early January. 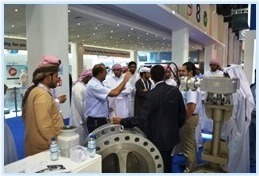 The event provided a global networking opportunity to participants in addition to providing a platform to display cutting edge technology and scientific innovation by Service Providers and vendors at the exhibition. Here, Advance Valves exchanged views and shared knowledge, expertise and experiences with national and international experts in the oil & gas industry amongst its prestigious customers. B) ACREX, Delhi: Advance Valves participated here exhibiting its patented large-sized manual balancing valve, a novel solution which has proven success of design as well as performance for district level cooling. The expo was held in India from 27th Feb to 1st March 2014 in Delhi and organized by Indian Society of Heating, Refrigerating and Air Conditioning Engineers (ISHRAE). The theme was “Carbon Neutral” targeting the industry to follow and implement principal of 3R: - Reduce, Recycle & Reuse. Use the three R’s to become carbon neutral and reduce their carbon foot print on mother earth and set new precedents and standards for all such future Exhibitions. The Big 5 Saudi is the Kingdom's largest display of construction products and services, allowing architects, consultants, engineers, contractors and developers the opportunity to spread their business by signing the deals and increasing the networks. D) GASTECH, Korea: Gastech is the world’s favourite meeting place for energy professionals working in the natural gas and liquefied natural gas (LNG) industries. With a stronghold for both the technical and commercial sectors for the natural gas and LNG industry, Gastech 2014 was hosted by KOGAS. 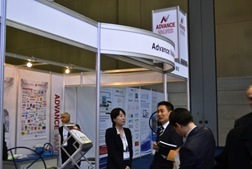 As a reputed supplier to the LNG market globally for Liquefaction, Transportation and Regasification, Advance Valves demonstrated its capability to supply its high quality product range to the international network of EPC’s – including the Korean & Japanese, for their projects worldwide. 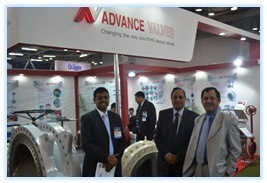 Advance Valves is committed towards meeting client expectations all across the globe! Exhibition to Watch Out for!! All these exhibitions are best proven platform for generating new sales leads, increasing brand and product awareness, meeting and selling to new customers and finding new industry partners. We once again thank our Customers, Partners, Stakeholders and well-wishers for the confidence reposed in us. We look forward to working with all of you in the new and coming years as well.